It’s important to eat a balanced diet – but that can be challenging with food allergies. March is National Nutrition Month®, so we’re taking a look at one of our favorite subjects: eating! In particular, we think it’s important to learn about healthy eating and how it impacts our wellbeing. We know that eating a variety of foods is a great way to get all the nutrients we need while keeping our taste buds interested. 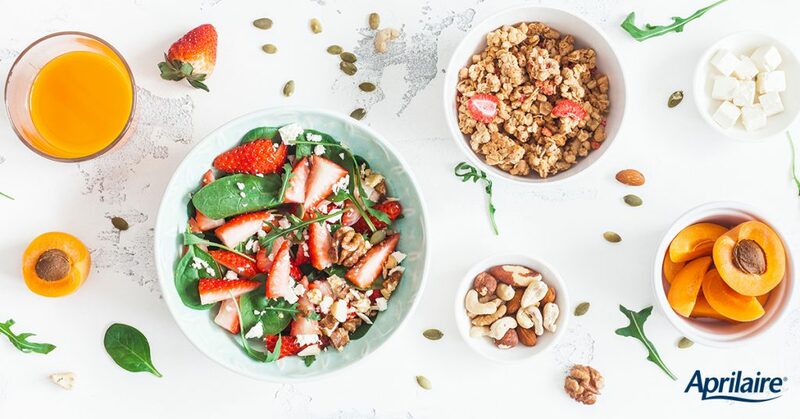 But for those with food allergies, it can be difficult to maintain a balanced, nutritious diet because it’s easy and comforting to keep going back to the same foods that they know are safe to eat. Thankfully, your allergy doesn’t have to steal your variety! With the growing awareness of food allergies, there are lots of allergy-free, delicious options available in supermarkets and local grocery stores in many areas. What’s even better is that many of the nutrients you might be missing out on because of a food allergy can be replaced by common, readily available foods! We picked out some of our favorite ways to satisfy hunger and get four key nutrients without worrying about allergies. Of course, you should you always talk to your family doctor or nutritionist before introducing any new foods to your diet. He or she can also tell you the safest way to try these alternatives. It’s important to make sure food allergies don’t get in the way of a healthy (and delicious) diet! Academy of Nutrition and Dietetics: National Nutrition Month® is a campaign started by the Academy of Nutrition and Dietetics. The campaign focuses attention on the importance of making informed food choices and developing sound eating and physical activity habits.